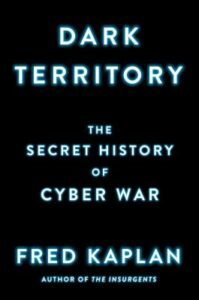 Fred Kaplan rejoins the show to talk about his new book, Dark Territory: The Secret History of Cyber War (Simon & Schuster). (We last talked in 2013). We get into the tangled, wild-west story of how cyber warfare is waged, where it might go in future, and why it’s the ultimate asymmetric warfare. Fred also tells us about the role of cyber in the success of the Iraq surge, the story of Stuxnet, the problem with not having rules of engagement for cyber war, how he came to respect the NSA, the statist/libertarian divide at the core of encryption battles, and what he thinks of Edward Snowden. Give it a listen! And go buy Fred’s book, Dark Territory ! Then Charles Bivona joins us for his monthly installment of #NJPoet’s Corner, where we focus on his dream course: Batman Studies. Go listen! And buy #NJPoet, Chuck’s newly-published poetry collection! Fred Kaplan is the national-security columnist for Slate and the author of Dark Territory: The Secret History of Cyber War , as well as of four other books, including The Wizards of Armageddon , 1959: The Year Everything Changed , Daydream Believers: How a Few Grand Ideas Wrecked American Power , and, most recently The Insurgents: David Petraeus and the Plot to Change the American Way of War , which was a New York Times bestseller and Pulitzer Prize finalist. A former Pulitzer Prize–winning reporter for The Boston Globe, he graduated from Oberlin College, earned a PhD from MIT, and lives in Brooklyn with his wife, Brooke Gladstone. Credits: This episode’s music is Nothing’s Gonna Bring Me Down by David Baerwald, used with permission of the artist. The conversation was recorded at Mr. Kaplan’s home in Brooklyn on a pair of Blue enCORE 200 microphones feeding into a Zoom H5 digital recorder. The conversation with Charles Bivona was recorded on the same setup, at his home I recorded the intro and outro on the same setup. Processing was done in Audacity and Logic Pro. 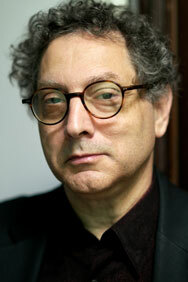 Photo of Mr. Kaplan by Carol Dronsfield.